From 2008, Charlotte Reed suffered from crippling depression. She decided not to take antidepressants and to instead fight her depression by making lifestyle changes such as exercise, diet and acupuncture. In addition, she started an online ‘Thought for the Day’ – a positive thought she posted on Facebook each day. These daily thoughts became a massive hit among her friends and Charlotte credits them with playing a huge part in her recovery from depression two years later. She went on to publish them in a book, May The Thoughts be With You, which she has sold thousands of copies of at the world-famous Portbello Road Market in Notting Hill, London. My Portobello Road to Recovery is the story of her illness and recovery. Equally moving as it is hopeful, this beautifully illustrated book will resonate with anyone who has experienced depression – either as a sufferer themselves or as a helpless bystander. 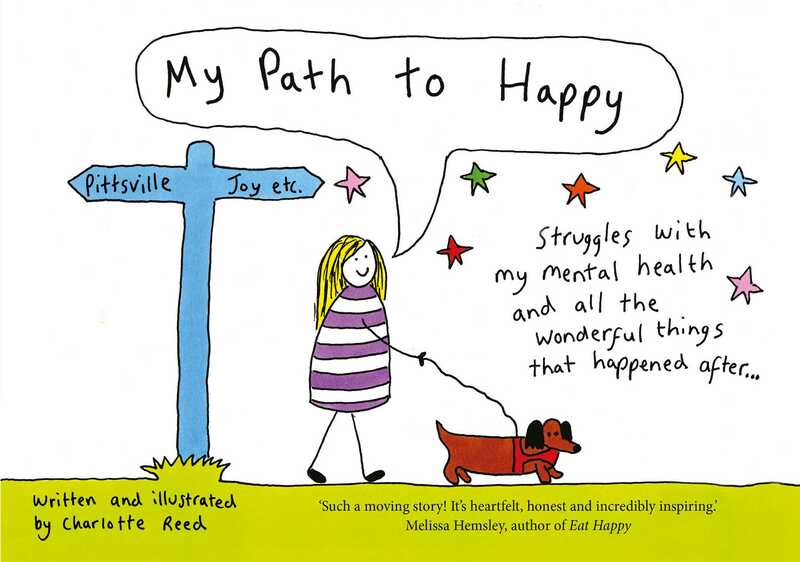 Written simply and illustrated appealingly, Charlotte powerfully conveys the nature and experience of this illness and what helped her to ultimately overcome it. At a time when, as a society, we are becoming more and more open about our mental health, this book will appeal to anyone who has experienced depression either first hand or as a helpless bystander. Charlotte has a weekly 'Thought for the Day' in London's Evening Standard.